Snake is a symbol of the year 2013. 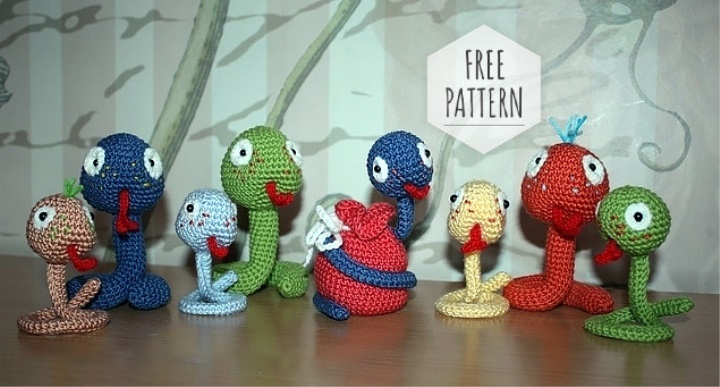 Until the new year for three more months, but many have started to knit snakes. The production of a large snake takes an average hour, a small-30 minutes. should be 20 cm. in length. Continue knitting on the main chain: 5 SBN.